Today, I’m fasting for Shaker Aamer, a UK resident who has been imprisoned in Guantanamo for nearly 14 years without trial or charge. On September 25, Shaker was told that he will be released and returned to his family in the UK. This means he could be freed as early as October 24, but there is no guarantee that will happen. I’ve joined with supporters of Shaker Aamer to participate in a rolling fast to push for the US government to release him. The campaign includes celebrities, elected officials, lawyers and members of the public who have joined the fast for a minimum of 24 hours. You, too, can pick a day and fast in solidarity with Shaker. Register your pledge here. On the day of your fast, take a photo of yourself and post it here, as well as on your social media. His family said: "Thank you all so much for taking part in this fasting. We are touched. Our family we will be joining in the fasts with all of you. Let’s all bring Shaker home." Shaker has twice been approved for release by the US authorities -- under President Bush in 2007 and under President Obama in 2009. The British government has been calling for his return since 2007. Shaker is on a hunger strike protesting his detention and ongoing abuse. The Fast For Shaker is intended to show solidarity with Shaker Aamer, to encourage him to give up his own hunger strike, and to keep up the pressure for his release. 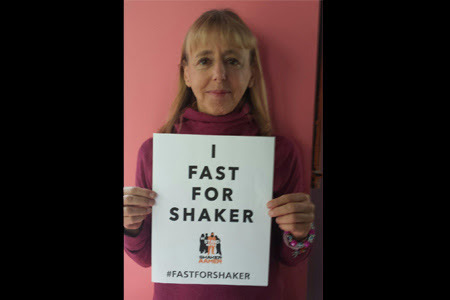 It’s shameful that the US government continues to keep the Guantanamo prison open.Show your opposition to the illegal and inhumane US policy of indefinite detention without trial by Fasting for Shaker. Once he is released, we can focus on getting freedom for the 53 other prisoners approved for release but still held year after year. PS: With its persistence over two Republican and two Democratic presidential terms, Guantanamo prison highlights a deeper tendency of the system we live in. 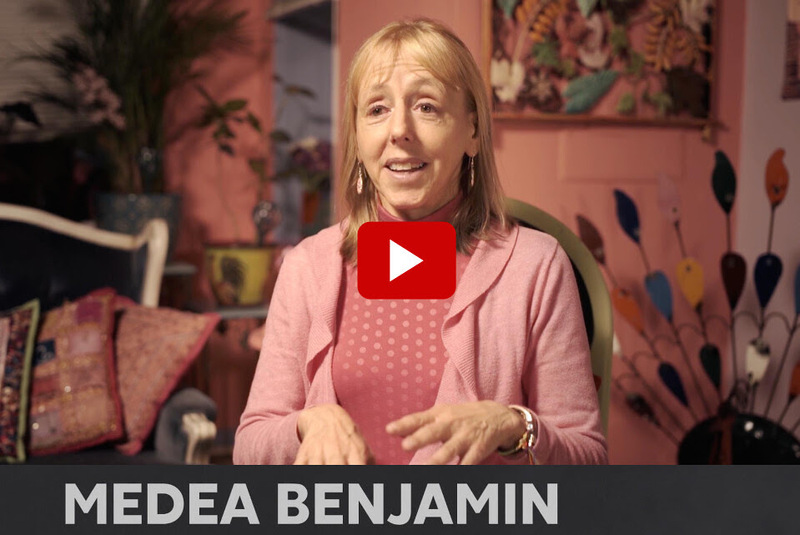 CODEPINK has partnered with our peace economy friends at The Next System Project to create this cool 4-minute film about our country’s systemic problems, and how we can build power and connectivity to advance systemic solutions. Check it out and share it with your friends, and consider signing their statement to commit to building a new political economy!